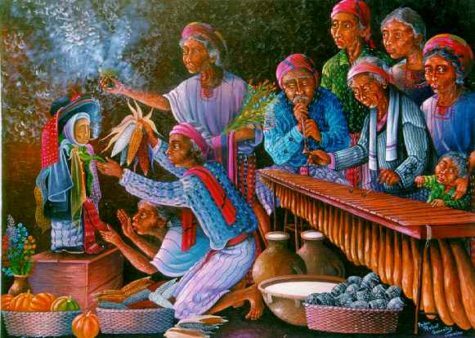 Maximón is a master shape shifter, reconciling religious traditions and offering guidance to indigenous Mayans who venerate him in Guatemala. He is also a heavy drinker and smoker. 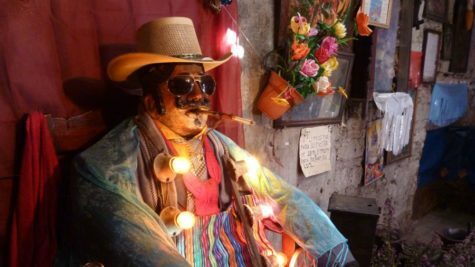 Maximón, also known as San Simón, is an important Mayan folk saint in Guatemala represented by a dressed up wooden effigy sitting on a chair who, unlike other saints, smokes cigars and drinks alcohol. 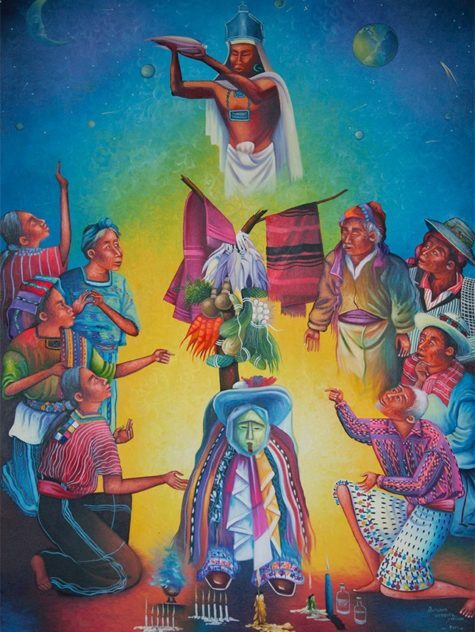 Today Maximón is actively worshiped as part of what we could refer to as “folk Catholicism“, especially in the highlands of Guatemala. His visitors travel from near and far to come see him and ask for protection, money, to be cured or even find a husband. 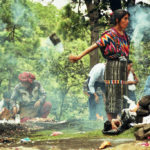 Maximón receives everyone – men and women, villagers and urban dwellers, prostitutes and entrepreneurs – who come with many offerings including tobacco, liquor, money and tortillas (his favorites). Christian missionaries who came to Guatemala to convert the local people encountered the primordial Mayan deity Maam, Lord of the Universe. Attempts to syncretize him to Saint Simon backfired. Instead of the Mayan god fading discreetly into the identity of the saint, Maximón, as he became known, took on a whole new life and personality of his own: defiant, rambunctious, anti-social. The Church then attempted to syncretize him with Judas Iscariot or even Satan, but it was too late. All they did was enhance Maximón’s outlaw image and make his devotees love and admire him even more. Maximón’s appearance varies greatly by location. While he’s popularly depicted as a man in a suit and hat, this isn’t a constant. In Santiago Atitlán, he wears colorful garlands and scarves, while in Zunil, he wears sunglasses and a bandanna. Although his wardrobe has been updated and modernized, Maximón is an ancient, primordial spirit. He has survived numerous attempts to suppress his veneration and is now more popular than ever, venerated throughout the Americas and Europe. 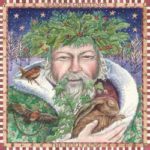 He is generally benevolent, associated with healing, prosperity, and protection. 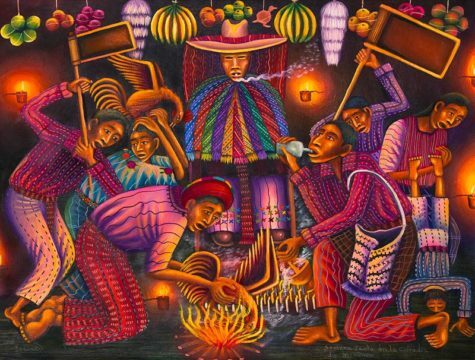 In Guatemala, Maximón is traditionally invoked for protection for or from anti-government forces. Nothing is beyond his assistance or outside his jurisdiction. Maximón is said to represent both light and dark, and to be a trickster. He is both a womanizer and a protector of couples. Be wary. Maximón is a crossroads spirit. He mediates between the living and the dead, people and spirits. He serves as a bridge between malevolent and benevolent spirits. Maximón is an extremely responsive spirit who works for comparatively modest offerings. He makes people’s dreams come true. He challenges believers. He heals. He helps overcome obstacles. He stands against injustice. He dances the night away. He brings wealth and success. Fertility and prosperity. He wins the heart of women and protects from infidelity. In fact, he is the lord of sexuality standing for all unresolved matters of a moral nature. Legend says that one day he was caught sleeping with the wives of the village men who had supposedly gone to work. Furious, they cut his legs and arms off. So Maximón also makes mistakes, which makes it easier for people to relate to him. Sometimes when he brings justice to a person, it is even at the expense of another. Thus, he sits at a crossroads between being both a deity and a trickster, a friend and a fiend. Maximón may indicate his presence via the smell of cigar smoke when no cigars are present. He visits in dreams. 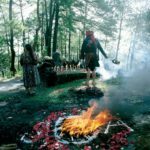 Maximón is invoked in numerous magickal spells, rituals, and operations. If someone abuses you, whisper your needs directly into the ear of Maximón’s image. Place the person’s photo under Maximón’s left foot, or write a note and place it there. Coil a rope around his image (even around his neck!) to show him that you need his help capturing someone’s heart or alternatively, for hobbling competing suitors. Whisper in his ear to tell him what you need. Wrap a rope around his image to keep your spouse from running off with another. 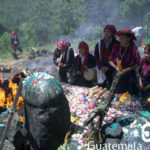 Maximón is invoked to heal addictions. He will accept request on behalf of others, especially addicts. He may be invoked on behalf of someone else who cannot or will not ask him themselves. It is not necessary to tell the person that you have requested Maximón’s blessings on their behalf. The deal is between you and Maximón. Make offerings and tell him what the other person needs. However, even if the other person reaps the blessings, Maximón is doing YOU the favor; YOU must fulfill any vows or promises made. Hats, silk scarves, flowers (he likes bougainvilleas, carnations, and gladioli), fruit, tobacco products especially cigars, copal incense, water, Coca-Cola, tequila, aguardiente. An elaborate offering when you really need a big favor or as a fulfillment of a vow is forty candles plus copal incense. The oldest images of Maximón consisted of masks and mysterious wrapped bundles. However a modern votive image has also evolved possibly based on the only known existing photograph of shaman, wizard, and Maximón devotee Francisco Sojuel (died circa 1907), credited with crafting the first modern Maximón mask. 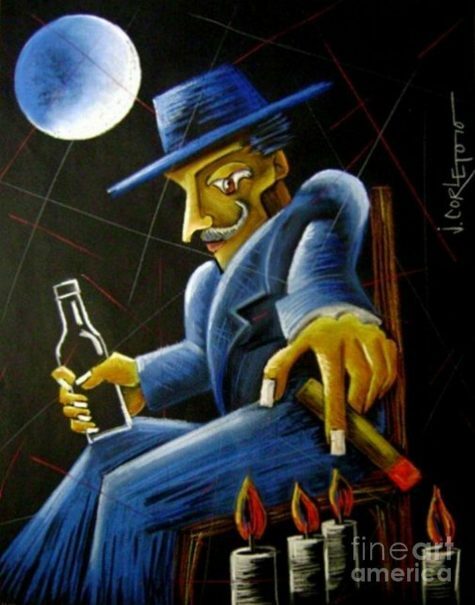 This image depicts Maximón as a mustached man wearing a black suit and a Stetson or similar hat. He is usually, but not exclusively, depicted sitting. The modern image closest to his ancient one consists of a bundle of fabric topped with one or more Stetson hats. The name Maximón is often interpreted as deriving from Maam and Simon. Another theory suggests that it derives from Maam and ximon, a Mayan word that may refer to a bundle or the act of “tying up,” essentially creating a bundle. The use of bundles as sacred objects is not uncommon in indigenous American spiritual and magickal traditions. Votive images range from pocket-size to life-size. The mouth of his statue may be open so a real cigar may be inserted. Alternatively, the statue may be designed so that the cigar can be placed in his hand. Ashes and stubs from offerings are collected and preserved. Placed in a small charm bag they serve as amulets, allegedly bringing good luck. Sometimes tubes are inserted into statues so Maximón can actually “drink.” Liquor passing through his system is then reserved for ritual use. Maximón often accumulates an extensive wardrobe. He is a fastidious spirit whose clothes must be kept clean. The rinse water used when hand-washing his clothes may be preserved as Holy Water, or magickally charged water. It is said to have magickal and healing powers. 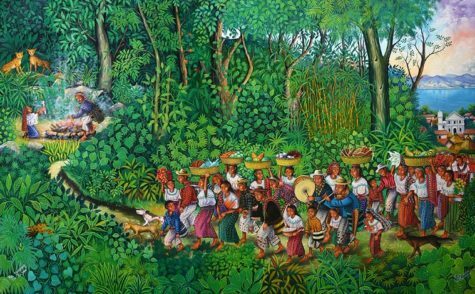 Guatemalan festivals dedicated to Maximón coincide with Holy Week, culminating on Good Friday. One of the aspects of Maximón is that he can appear in any form. During Easter week he takes on the form of Judas Iscariot, who in betraying Jesus became the catalyst who put into action the events ended in the crucifixion of Jesus. Judas (Maximón) then hangs himself. 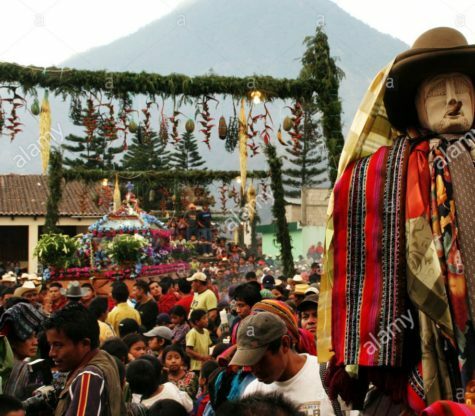 What has sometimes been described as a lynching in Guatemala, is actually a Easter Week re-enactment of the crucifixion where the hanged man is Maximón in his guise as Judas Iscariot. The Tz’utuhil Maya workers on the fincas [plantations] on the coastal side of the Volcano Atitlán have brought their customs with them from the highlands in Santiago Atitlan. Maximón is the subject of innumerable home shrines, but his major public shrine is in Lake Atitlan, Guatemala. In Santiago Atitlán, Maximón’s effigy resides in a different household every year. His image is normally only taken out of this house during Holy Week, whereafter it will change households, but is on display year-round due the popularity of pilgrimages. 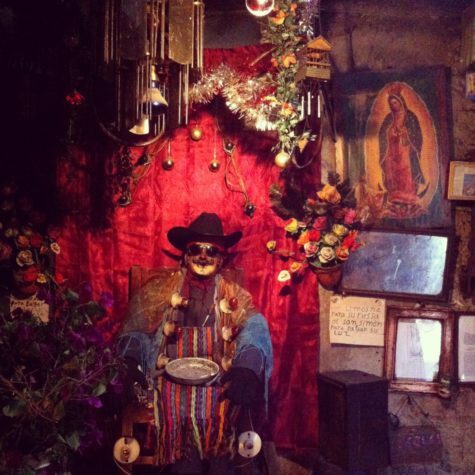 The effigy of Maximón in Santiago stays with one of five families, who are members of a religious brotherhood looking after the saint. He stays there for an entire year, and is moved during the procession of Holy Week. Maximón lives in a room within the family home, and he is accompanied by two chosen family members at all times. Yep, you read that right: at all times…for a year. The chosen two won’t work for a year; guarding Maximón and spending time with him is their full-time job for 365 days. They stay by the altar year-round, drinking and smoking alongside it. But that’s not all. These guys are also there to pass on offerings from visitors to the effigy, which are usually in the form of cigarettes, cigars, money, tobacco, and moonshine. Visitors can then ask for good health, good crops or marriage counsel. The two guardians usually put on one of Maximón’s two cowboy hats and speak to him in a local dialect. It looked like they were having a casual chat, the guardian resting his arm on Maximón’s shoulder in a brotherly way, stopping his speech every once in a while, as if listening for Maximón’s reply, or simply to tip the ash off his cigarette. If you want to share a drink with Maximón, you can do that too. He likes the local ‘Quetzalteco’ and his guardians will pour it through Maximón’s mouth. Because he’s hollow, the liquid flows through him and out between his leather boots. It’s then caught in a glass and drunk by the guardians or other family members who happen to be passing through. Like some kind of spiritual keg you can tap. This means the guardians are always drunk, or at least sleeping off a big drink. All the time. In the town of San Andrés Itzapa, there is a large temple to Maximón. 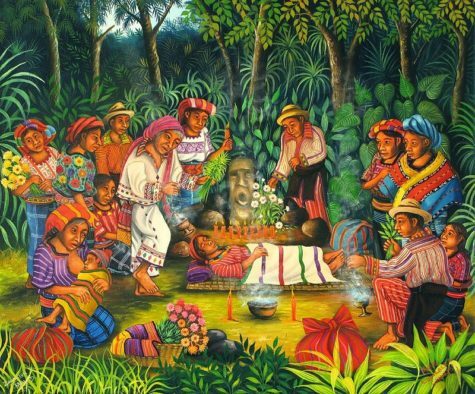 Here, offerings such as corn, flowers, and candles are burned in public by Shamans for the deity. Pilgrims travel to this temple from all across Latin America. Maximón is more than just a saint. He represents the resilience of Mayan people in the light of their struggles against oppression, a symbol of hope and transformation. 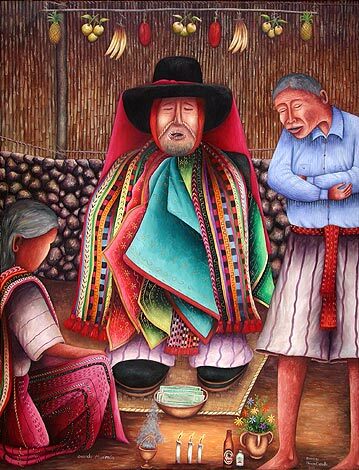 According to some legends, Maximón was an elder who reincarnated to protect his people. During the Spanish Conquest, an elder named Ri Laj Mam, upset by the evils of the Spaniards, encouraged his people to start a rebellion. 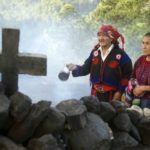 He was eventually executed, but returned to life in the form of a judge named Don Ximon, who fought to give land back to the native people of Guatemala. Another legend states that Maximón was hired by traveling fishermen to protect the virtue of their wives. Instead, Maximón disguised himself and slept with all of them. 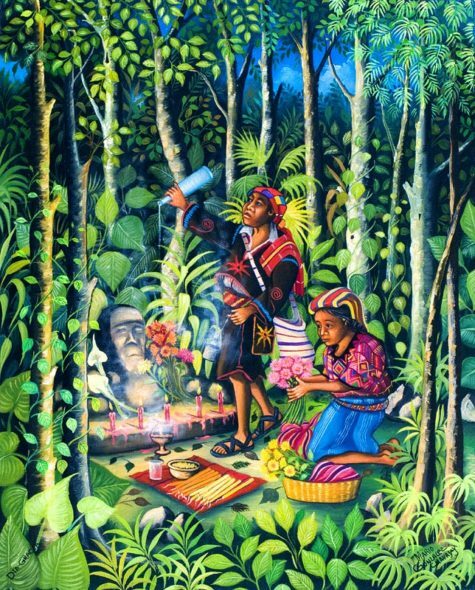 In Santiago Atitlán, an alternative tale says that Maximón was never a man, but a wooden figure created by Shamans to defend the village from witches. 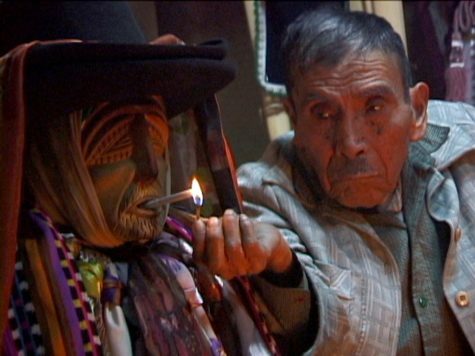 However, Maximón used trickery to harm the people of the village, so the Shamans twisted his head around and broke his legs to stop him. He then did his job properly and protected the people of the town from evil. Just a few minutes walk from the church of Santo Tomás in the center of Chichicastenango, there is a wooded hill. Atop this hill is an ancient rock with a carved face, known all over Guatemala as Pascual Abaj (Sacrifice Stone). 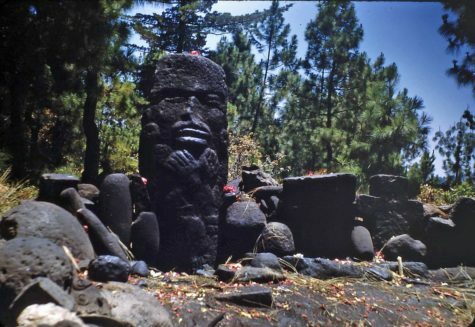 This stone-faced idol, a shrine to the Maya earth god Huyup Tak’ah (Mountain Plain), stands amid a circle of squat stone crosses in a clearing. Said to be hundreds – perhaps thousands – of years old, it has suffered numerous indignities at the hands of outsiders, but local people still revere it. Daily there are Maya priests and priestesses performing ceremonies there. People come there for all sorts of things: to bless a marriage, to pray for a good harvest or to give thanks for a good harvest, or to remedy a problem such as preventing thieves from stealing your corn. The rites are conducted by the aj’itz (maya priests). Pascual Abaj (alternatively written Pascual Ab’aj) is a pre-Columbian Maya idol at Chichicastenango that survived the Spanish conquest of Guatemala and which is still venerated by the local community. It is the best-known example of such an image or shrine to the Maya earth god Huyup Tak’ah. 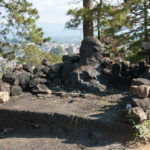 After the Spanish conquest, the stone figure is said to have been carried away from a site in the village of Chichicastenango and reset upon the hill so offerings could be made away from the vigilance of the Catholic Church and the Spanish colonists. The image was badly damaged in the 1950s by members of Catholic Action. Before it was defaced, the statue was described as a grotesque human figure with a large head and high, pointed forehead. It had two circular earspools in line with its mouth; its arms were crossed on its chest, with the fingers extended. A cord was sculpted around its waist, to which was attached the image of an inverted severed human head. It stood approximately 1 metre (3.3 ft) high. An observer in the 1950s noted that the figure appeared to have been buried sometime in the past. 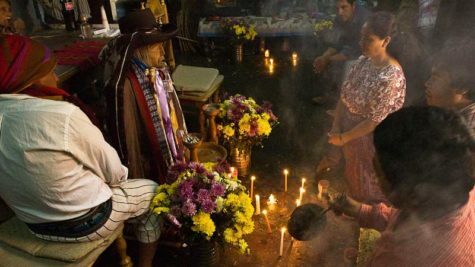 Traditional Maya shamans regularly perform ceremonies at the shrine, by day and night. 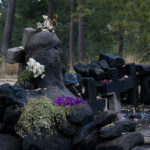 The statue is set upon a small altar surrounded by offerings, which include pine branches, crosses, flowers, copal resin, and items crafted from stone. The shrine has now become a popular tourist attraction where visitors witness traditional Maya ceremonies.